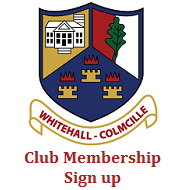 Whitehall Gaels, as we were called back then, was founded in 1954. The first meeting, presided over by Fr. J.K.O'Sullivan and was attended by interested parishioners. They agreed to enter teams in the under 13 and 15 North Dublin Leagues. A committee was elected to run the club. The following year the club successfully lobbied Dublin Corporation for the use of Ellenfield Park, also known as the âPlots' for playing pitches. 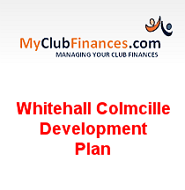 We took over the lease Thorndale Tennis Club had with Dublin Corporation on Collins Avenue in 1966. We are still there with our popular members bar (opened 1978), sports hall (built 1986) and ancillary rooms. We purchased land in Cloghran in 1988 and built dressing rooms on the site in 1997, an all weather training pitch in 2002 and weights room in 2004.